Biosecurity officers check areas of land for harmful animals or plants and arrange for, or help with, pest destruction and control. Source: NZ Biosecurity Institute, 2018. Chances of getting a job as a biosecurity officer are good due to increasing demand for their services. 3 years of training usually required. Pay for biosecurity officers varies depending on experience. Biosecurity officers with up to three years' experience usually earn $50,000 to $60,000 a year. After three to five years' experience, biosecurity officers usually earn $60,000 to $100,000. writing and implementing new policy such as national and regional pest management plans. pesticides and how to safely use and handle them. work in offices and outdoors in forests, national parks and on private land where pests are being monitored or eradicated. 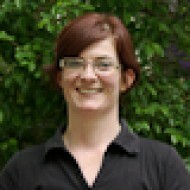 Why did you decide biosecurity officer was the job for you? "I wanted to work outside and I knew I'd get to spend a lot of time in the field as a biosecurity officer. Beautiful drives to the riverbed to look for weeds just don't feel like work!" Have you had many adventures on the job? "We were out in this little dinghy once, getting rid of some pest plants growing high up on a seaside cliff. As we headed back to shore, a rough wave knocked our dinghy over, and it got stuck around my shoulders. Thankfully, I've had very few such experiences." What's it like educating the public about pests? "It's a good feeling to see people interested in the shows we put on at events like the A&P shows. "I also work with a national organisation called Weedbusters, which supports volunteers who do weed control and educate others about weeds. Weedbusters also gives out awards to people who've done good work with weed problems. "We have lots of entries for these awards – it's great to see people getting fired up about weeds." A Master's degree in biosecurity, ecological science or environmental science is sometimes preferred for more technical roles. You also need to have a current driver's licence. Some employers encourage, or make it compulsory, for biosecurity officers working with pest plants to get a Growsafe Certificate or National Certificate in Compliance and Regulatory Control – Pest Plant Control (Level 4). To enter tertiary training, NCEA Level 2 or 3 is usually required. Useful subjects include agriculture and horticulture, and biology. work handling pesticides and chemicals. Biosecurity officers need to be reasonably fit and healthy as they often have to work outdoors and walk long distances checking traps at night and in all weather conditions. Demand for biosecurity officers is strong because the Government's Biosecurity 2025 strategy focuses on better management of invasive pests and disease. 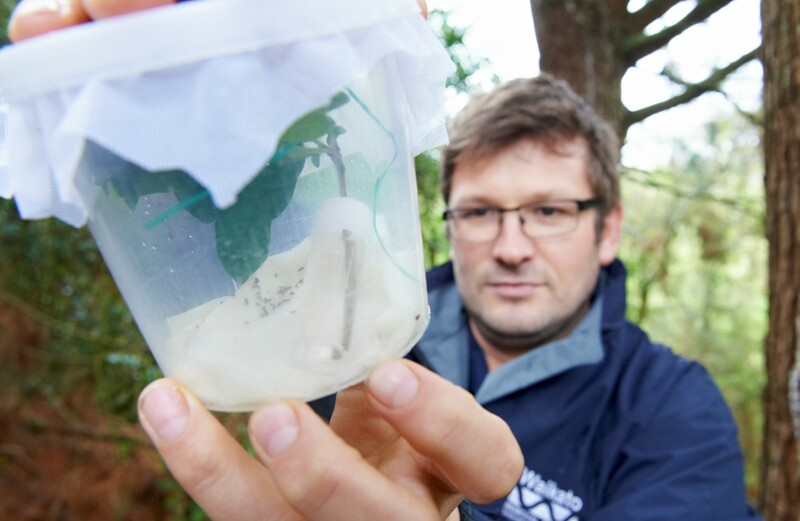 Opportunities for biosecurity officers are also growing in primary industry organisations, such as DairyNZ, Horticulture New Zealand and Federated Farmers, as they are recognising that good pest management can cut down on costs. (Primary industry organisations turn natural resources, such as crops, into products.) In response, some primary industry businesses have set up biosecurity response teams, which means more jobs for biosecurity officers. running education programmes to inform the public about plant pests and how they can help prevent their spread. companies that manufacture pesticides or develop pest management technologies. Biosecurity New Zealand, 'Biosecurity 2025 Direction Statement', 2018, (www.mpi.govt.nz). Department of Conservation, 'Biosecurity', accessed July 2018, (www.doc.govt.nz). Embling, D, president, NZ Biosecurity Institute, careers.govt.nz interview, June 2018. They may also set up their own pest control businesses. Environmental/public health officers investigate, monitor, assess and advise on food and alcohol safety, disease prevention, disease outbreaks, and environmental hazards such as pollution. Rangers protect, enhance and maintain conservation and recreation areas such as regional and national parks, forests, wetlands, reserves, and sites of cultural importance. Pest control technicians manage pests such as insects and rodents in commercial, industrial and domestic buildings. Hunters and trappers shoot or trap animals to remove pests and control disease, and for food, fur, or research. Health and safety inspectors assess workplaces and work activities to determine if employers are keeping workers and other people safe and healthy at work. They also educate people about health and safety, investigate accidents and lead prosecutions.